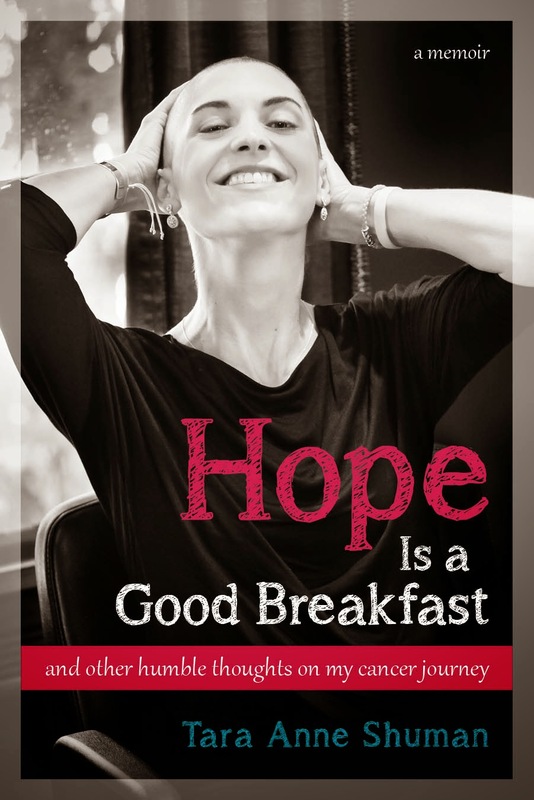 Hope Is a Good Breakfast - The Blog: "Hope is The Container Store"
When I first read the Francis Bacon quote -- Hope is a good breakfast but it is a bad supper -- something clicked for me and I knew that I had found the elusive title to my book. When I researched more about Francis Bacon and learned that he was the father of empiricism, I was sure it was right. Since then, I have become fascinated with how others conceive of hope. What is hope to my kids? My mother? My friends and their friends? I wanted to hear from them, and then from others and still others. I wanted to see their faces and hear their voices and so I began to request that people send me homemade videos in which they finish the sentence, "Hope is..."
The answers I have received so far have made me laugh and cry and think, and they have humbled me, often all at the same time. Each one is so powerful and so precious. Just like hope itself. As I thought more about those who have given me hope in my life, I also came upon two of the world's biggest celebrities -- Oprah Winfrey and Bruce Springsteen. Each one of them helped me through my journey in their own ways -- Oprah for having told me stories that gave me perspective and the Boss for having given me the songs that I hummed when I was so scared I could barely breathe. 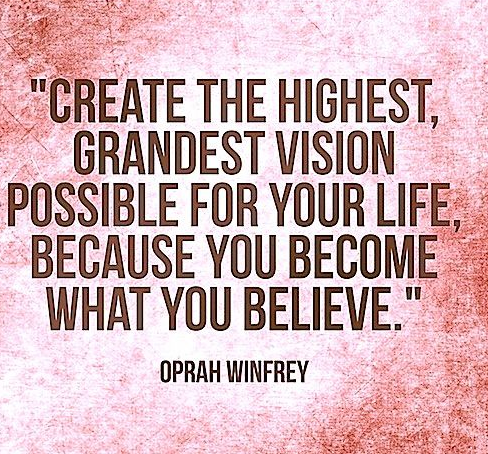 And so a dream was born -- the dream that Oprah and Bruce would share with us a "Hope is" video. Since Oprah has a pubic email address, I figured I would start with her. Since my one little email would most certainly get lost in Oprah's inbox, I thought perhaps sending her a few hundred emails requesting a "Hope is" video would at least encourage someone behind oprah@oprah.com to recognize the request. Hopefully in the next few days, that all happens. It's fun to dream. At the same time, I know that I have a better chance of winning the lottery than reaching Oprah or Bruce Springsteen. But that's okay. Because in the end, the people I have reached have filled my heart. Anyone who has followed this blog knows about my most favorite store in the world, otherwise known as my "holy land" -- The Container Store. It's paradise in a perfect container. So obviously I needed a "Hope is" video from the lovely people at The Container Store. My mom and I had been trying to get there for a few weeks now -- me for the video and my mom for something that involved organizing her files. This past Sunday, we found a small window of free time and began our pilgrimmage. We got there at 11:00 AM on the dot, which is precisely when it opened. I knew the woman I wanted to find. Well, I knew her face, although I still am not certain of her name. I'll never forget this woman because in one of the many trips that my mom and I took to The Container Store during my treatment, she told me that she was a breast cancer survivor of several years. It meant so much to me to see her standing there healthy and healed. When we walked into the store on Sunday morning, I looked around but didn't see the woman I was looking for. So I approached the woman at the nearest register. Her nametag said Julie. I introduced myself and warned Julie that I had a strange question for her. She lightheartedly said she had heard it all. "Still you probably haven't heard this," I laughed. To start, I told Julie how I had been treated for cancer. She held up her hand to give me a high five and announced, "Me too! You go girl! Where were you treated?" "Same!" She was beaming -- with such strength and life. I started to cry. Because years after her cancer, Julie was still here. Because I had unknowingly found her. And because she knew all about hope. Julie was a ray of light that Sunday morning. She was funny and kind, open and honest. When I told her how much I visited the store during my treatment, Julie said she understood. She said that sometimes when you're going through something really hard, you just need a sense of control over something, even if it's just stuff in the perfect container. It is so very true. Julie also told me that she has a blog, "not about cancer, but about having a transgender child." Tonight I read the recent posts on Julie's blog and they are amazing, truly amazing. The "Hope is" video that Julie is arranging with The Container Store crew will likely be no more than 10 seconds of the book launch party. It may be nothing longer than, "Hope is The Container Store." But to me, it's so much more than that. And in the end, the video Julie is arranging is why my heart is full, and will remain full even if Oprah and Bruce never write us back. Please click HERE for HOW TO HELP US REACH OPRAH. BRUCE WILL COME LATER! I wish there was a way for me to "like" what Julie said above! You are both inspiring!